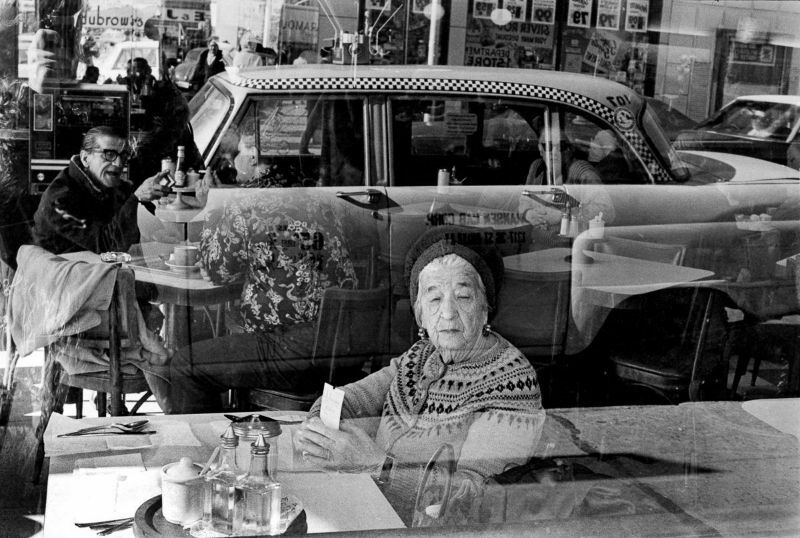 One frigid day in February 1975, Marcia Bricker Halperin, a budding street photographer, was shooting storefront windows on Kings Highway in Brooklyn. 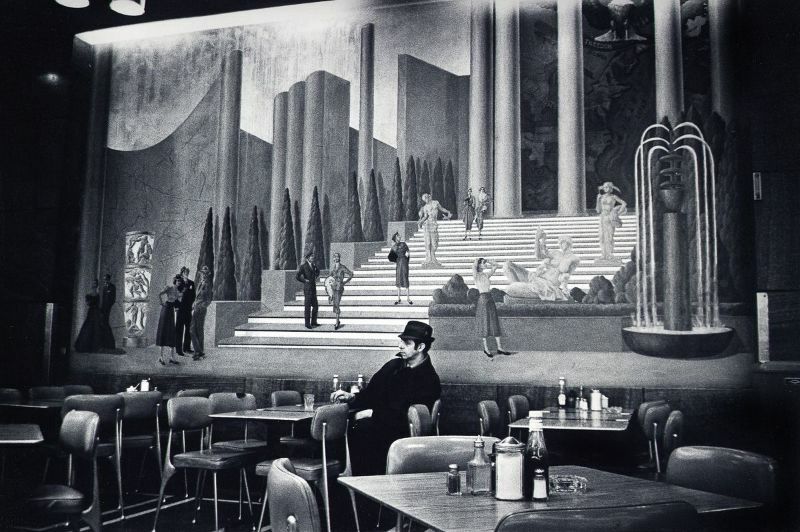 With her fingers practically frozen to her Pentax, she slipped into a Dubrow’s Cafeteria to defrost. 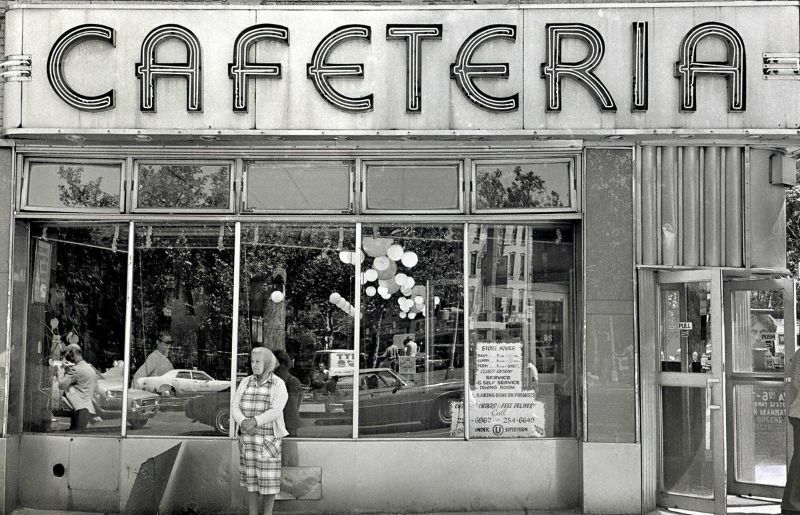 Halperin discovered that Dubrow’s, along with a few other cafeterias and automats in the city, was a unique and vanishing social institution, as well as a fertile ground for conversation and photography. 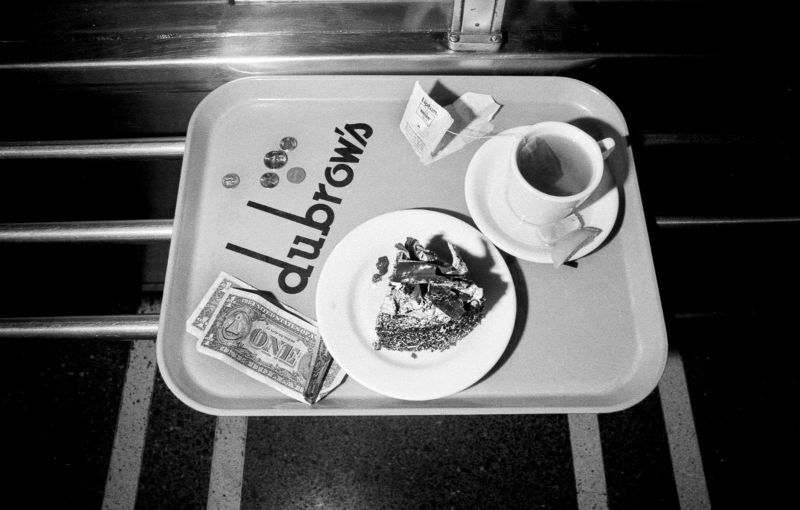 Self-service cafeterias like Dubrow’s offered cheap coffee and ready-made meals. Customers would grab trays, pick items as they proceeded down a counter, then look around to see where their friends were sitting. 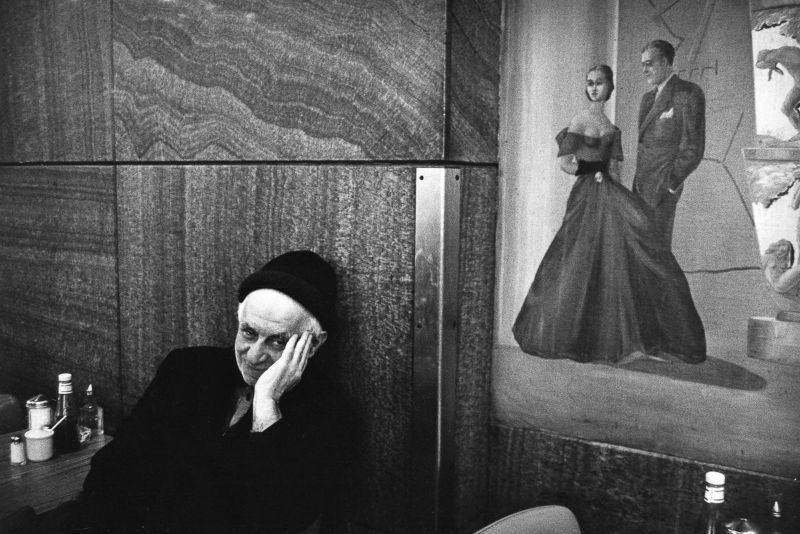 As Halperin hung around the cafeterias with her camera, she became a noted regular, giving away portrait prints to subjects and receiving invitations to join people at their tables. In these cafeterias, she found not only a refuge from the cold but the warmth of community.